I’ve mentioned before how awkward it is to decorate our long narrow hallway. We moved to San Francisco over a year ago, and the hallway has remained barren because I just could not figure out how to fill up the space without buying a bunch of frames (and nail holes). 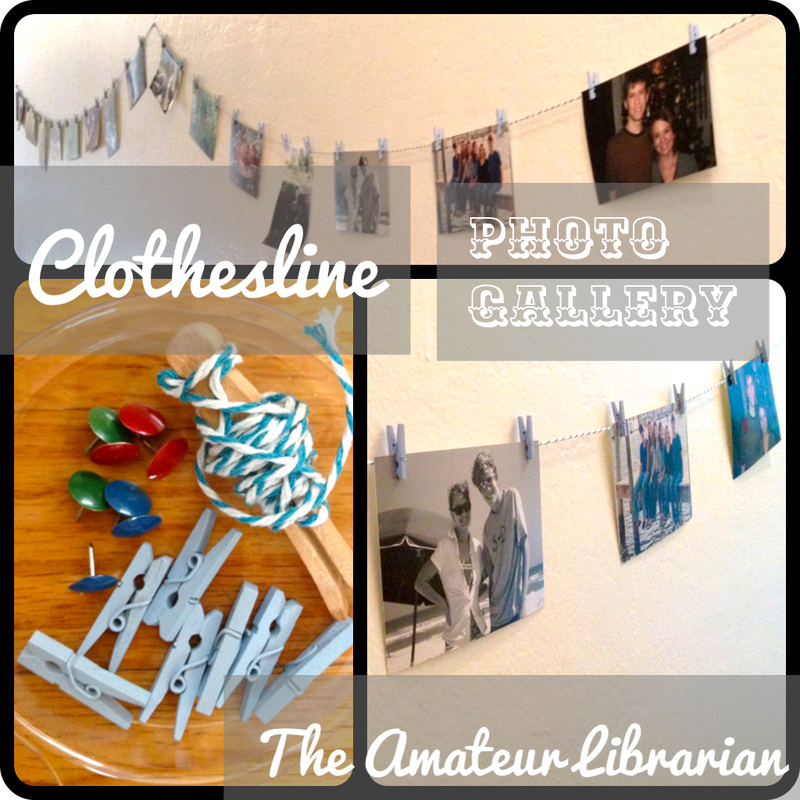 Then I saw this pin, and I had my inspiration for a Clothesline Photo Gallery! Baker’s twine (or yarn, fishing line, ribbon, etc.) I used about 4 yards. I found plain twine at a local hardware store, and I also had some turquoise baker’s twine from Lilly Belle’s Paperie Etsy shop. Photos, post cards, artwork, greeting cards, etc. 1. 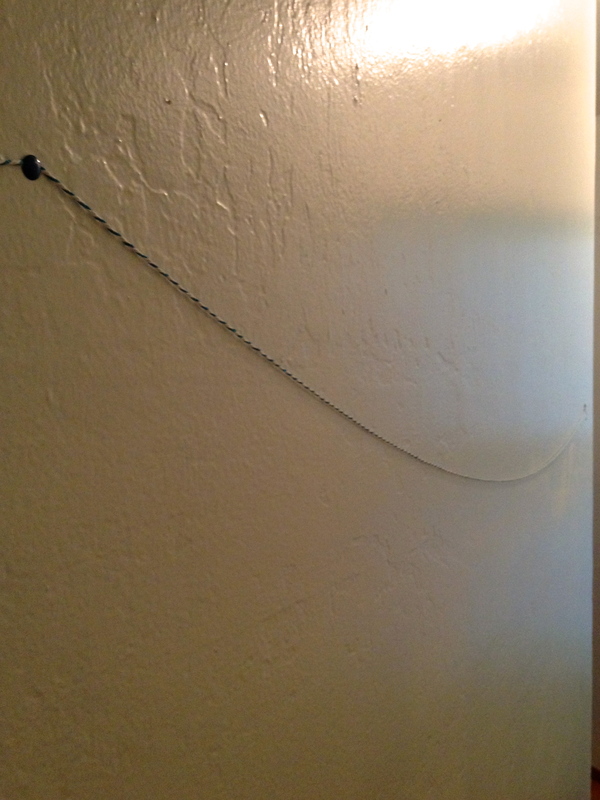 Measure the wall and cut the amount of twine you will need, adding a little extra so the line won’t be taut. I recommend using a measuring tape at this point, just so you don’t have to go through the bother of questioning yourself. I didn’t do that at first, of course, so Sam and I bickered about where the middle point was and made a few tack-holes before we got out the measuring tape to settle the argument. Fun times! 4. 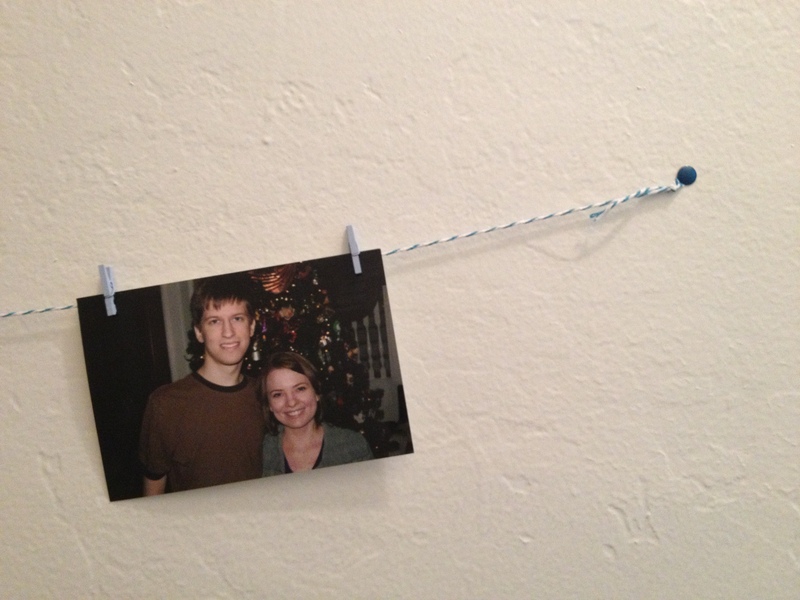 Hang your photos with mini clothespins. I tried to space out the vertical/horizontal, color/black-and-white, couple/single/group pictures to make everything look balanced. I didn’t think too hard about it, honestly, and at the end I switched around a few and was happy with the results. I like that this solution doesn’t take up too much space, there are no nail holes, and it fills the long hallway space without having to worry about a fancy arrangement of frames. 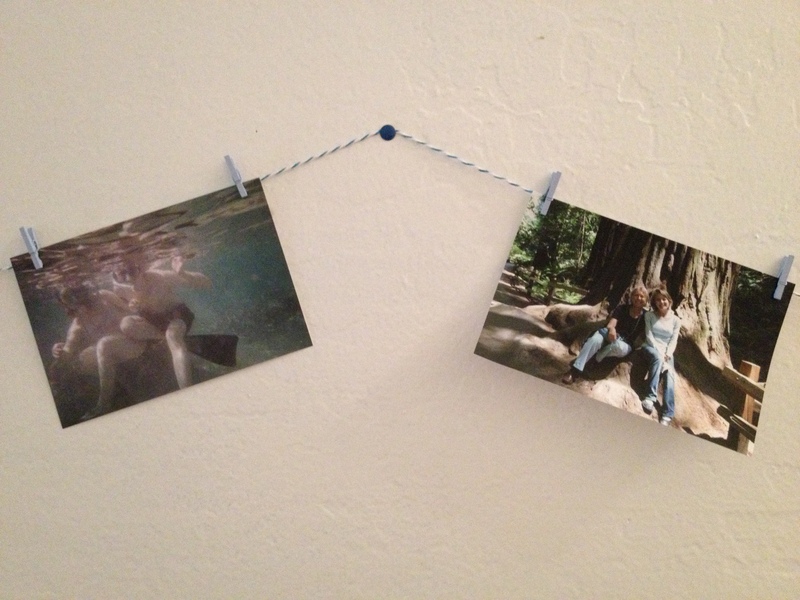 Plus, the pictures are very easily interchangeable and can be as customizable and temporary as you want. Sometimes I worry too much about which pictures are special enough to preserve in a frame, but this takes away that anxiety. In fact, I plan on exchanging these photos regularly with post cards, holiday cards, and new pictures. I have a history of banners in the hallway (Snowflakes for Christmas and Hearts for Valentine’s Day), but this will (hopefully) stick around longer. I’m also heading over to Lulu & Sweet Pea to join up with their Pinteresting Project! It looks great! 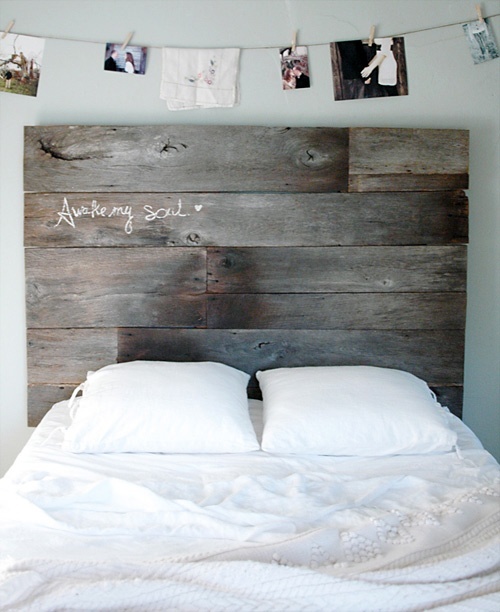 I think I am going to try this in my boy’s room. 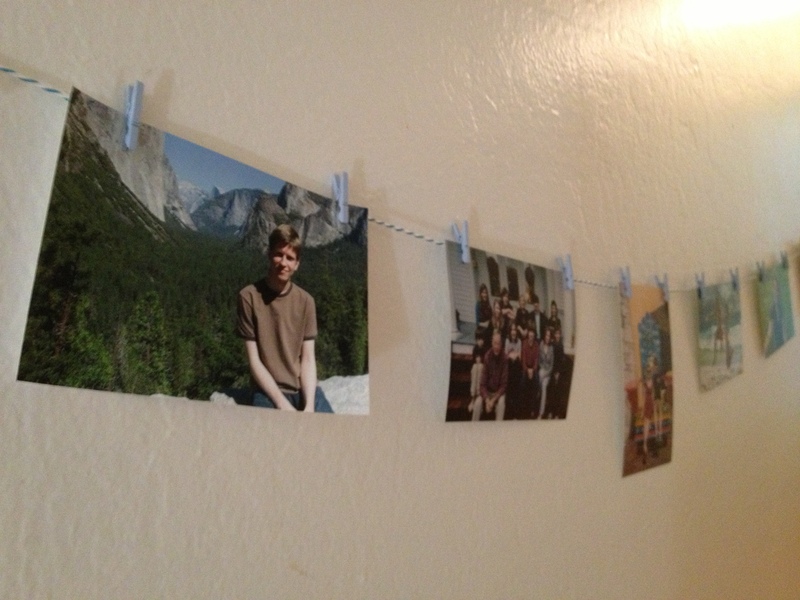 I also put off decorating bare walls because of the dislike of putting nail holes all over. Thanks for the inspiration. This looks great! 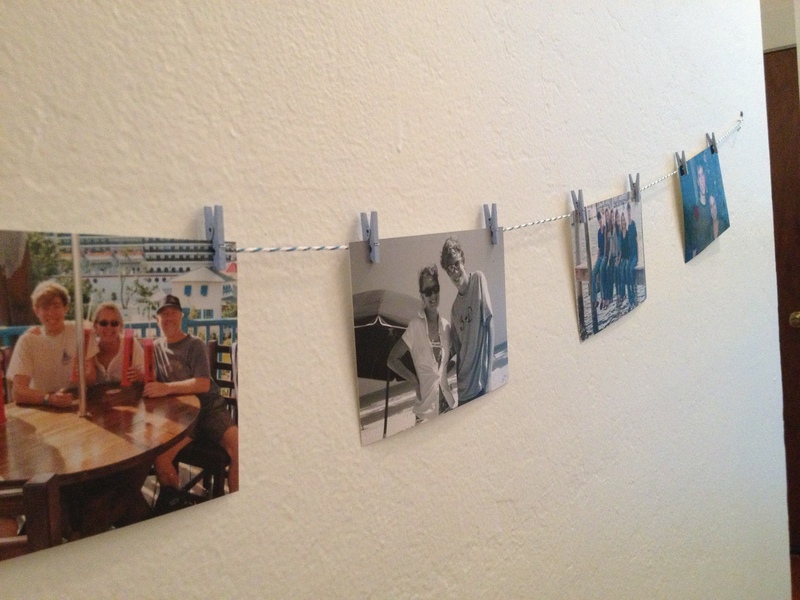 I love this idea because we move frequently and I hate putting a lot of holes in the wall of a rental! Very cute, I love how it turned out! I love this! There is just something so whimsical about using baker’s twine too! 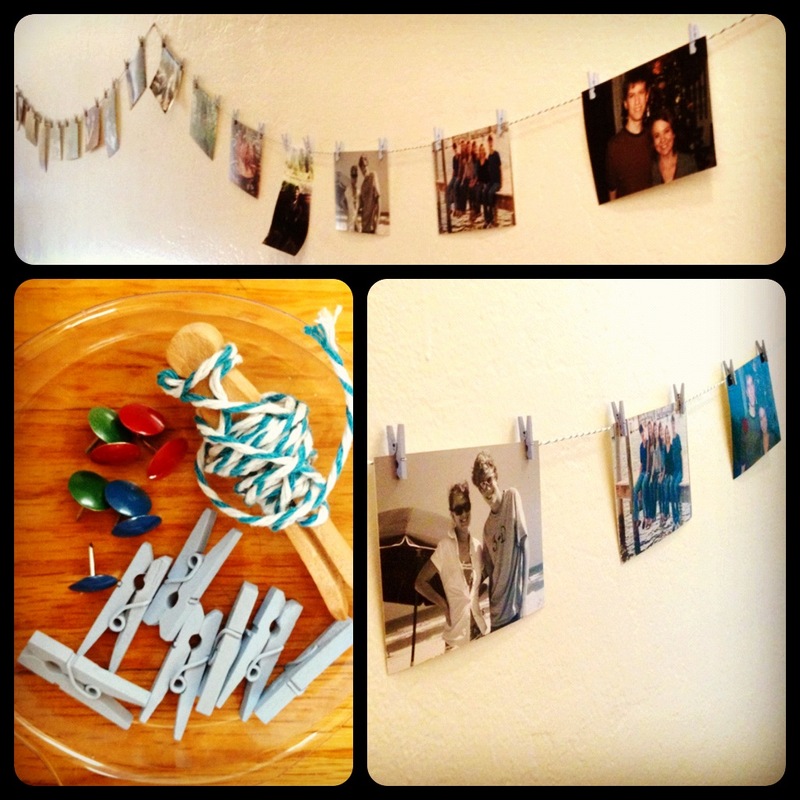 And how fun to use during the holidays with all of those christmas cards! brilliant! thanks so much for sharing and linking up! I have this one pinned too! I really want to make one. 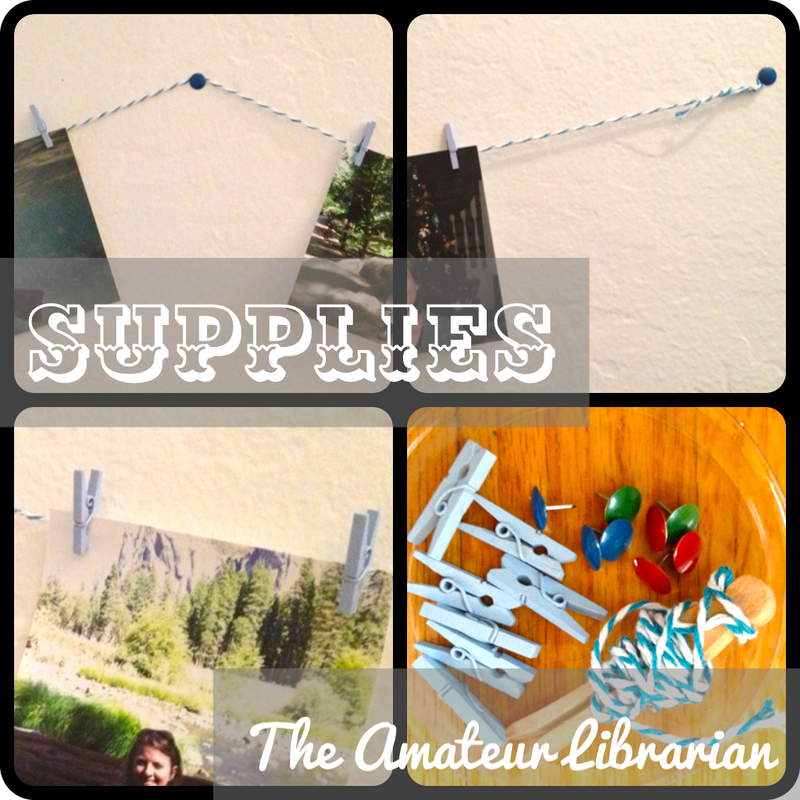 Thank you SO much for linking up to The Pinspiration Project! Great idea! I love how you will change out the photos, and intend to make them “holiday appropriate”. 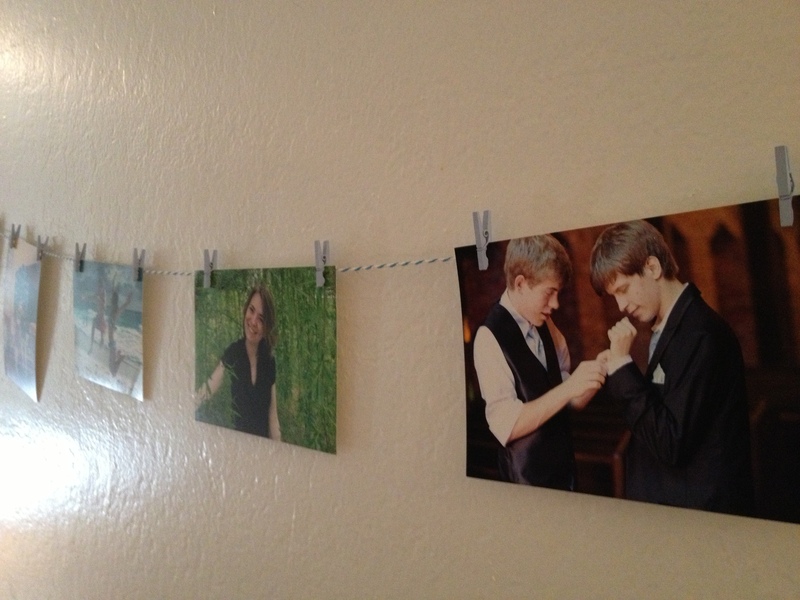 This is how I will hang my christmas cards this year. Hopefully will find red & green mini clothes pins! That is ridiculously cute – for as many pins as I have, I haven’t seen this one or pinned it yet!